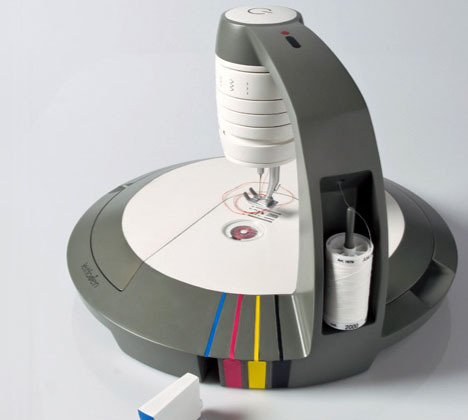 The real world is catching on to the color options that digital image editing tools have had for a long time, with color printers evolving relate ideas from a color-scanning pen to this designer color-matching sewing machine concept by Monika Jakubek and Anna Müller. A small camera captures the color of a real object set in front it – an old shirt that needs a few stitches, or perhaps some faded jeans in need of color-matched sewn patch, maybe a multi-colored dress you are trying to design and dew essentially from scratch. 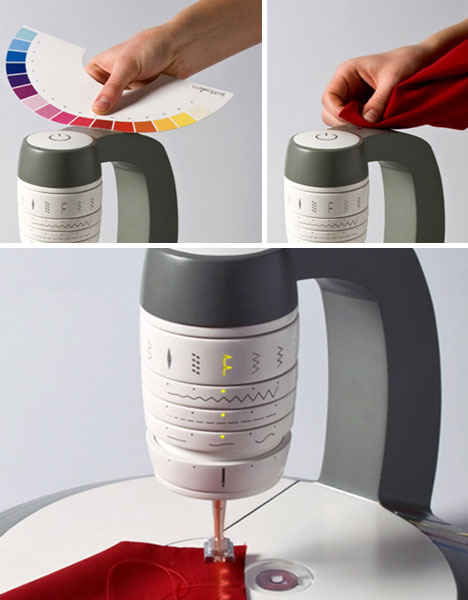 Quick-drying die infuses the thread while it works its way through the machine – and you can naturally input your own CMYK, RGB or other hex combinations manually as well as using the automatic color sensor. This idea has a lot of unexplored potential as well for crafts-oriented DIY dress design folks and cutting-edge fashionistas alike. Imagine, for example, if it could scan the material right beneath it as it moved, adjusting its color accordingly along the way. And considering how little ink would be required, it is a good bet you would not have to switch cartridges in this ‘thread printer’ very often. 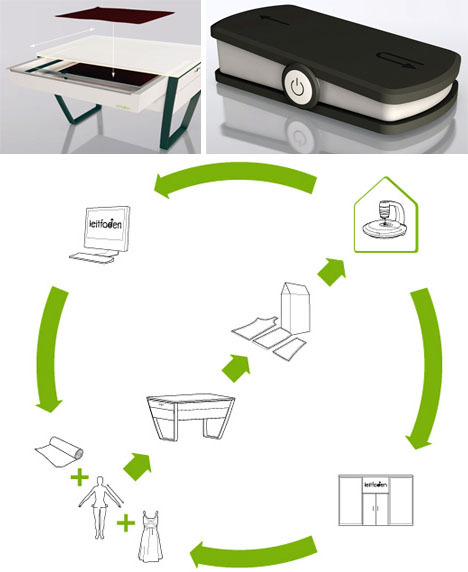 Whether this works or just a prototype ?